I am simply in disbelief that there are only 8 Thursdays left until Christmas Day. I am so excited for Christmas and all the joy and eating festivities it will bring, but I'm also wondering where the time went this year? Moreover, I have left my day job for almost 4 months now. How did that happen? 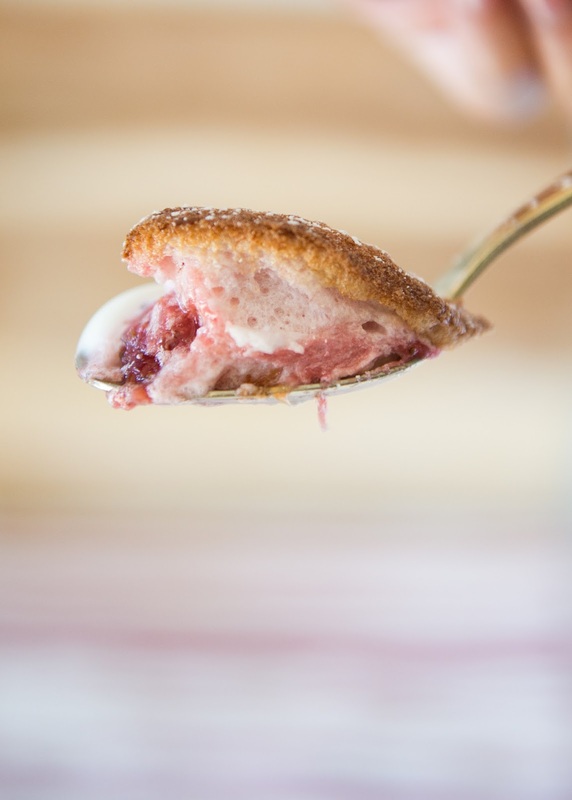 Like a puff of a sweet cloud, this dessert is sure to please in the coming hot summer months (for us southern hemisphere-ers that is). Aside from Trifle, us Kiwis and Aussies are very accustomed to a good-o pavlova dessert for Christmas. A crispy, yet marshmallowy meringue, coupled with lashings of softly whipped cream and seasonal fresh fruit, there is just nothing better. 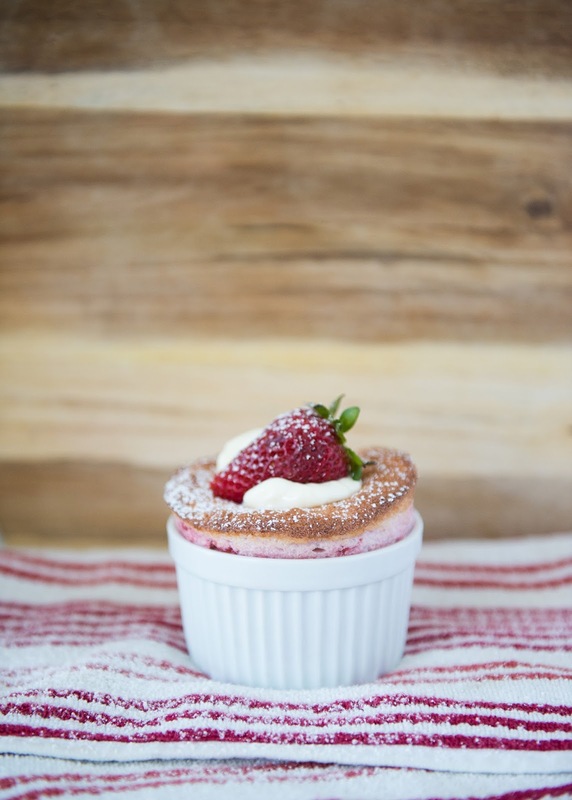 But a dessert like a souffle can go down just as well with a dollop of cream, yoghurt or ice cream. Served hot or slightly warm, it's easy to eat, spoon-licking worthy, and this recipe is SO EASY I can not even express the words to explain. 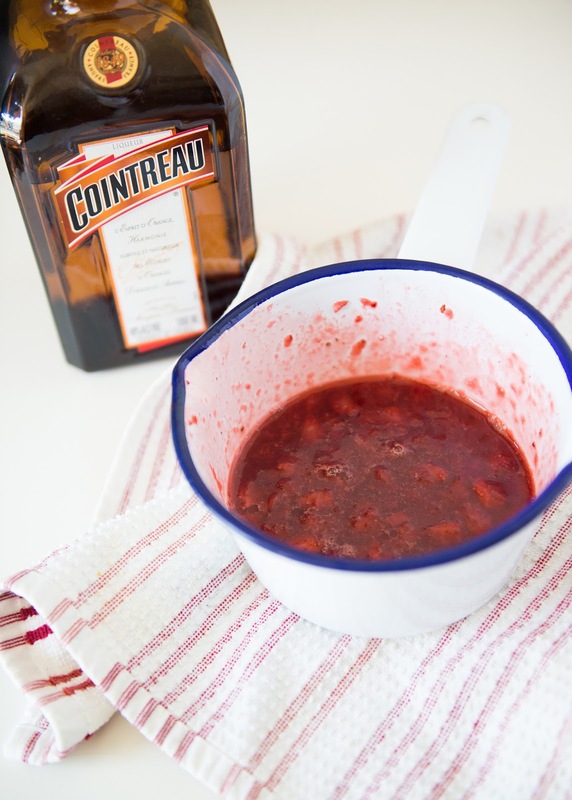 This recipe uses frozen strawberries (yes I'm still harping on about Strawberry month), but you can use fresh strawberries for the base flavour just the same if you have the time. I used about 9 medium fresh strawberries and let it simmer whilst stirring and mashing gently with the orange liqueur, sugar, and orange juice for about 10-15 minutes until the liquid had reduced and became a nice mashed up jammy, pulpy sauce (the mixture should be a thick and deep red coloured sauce). 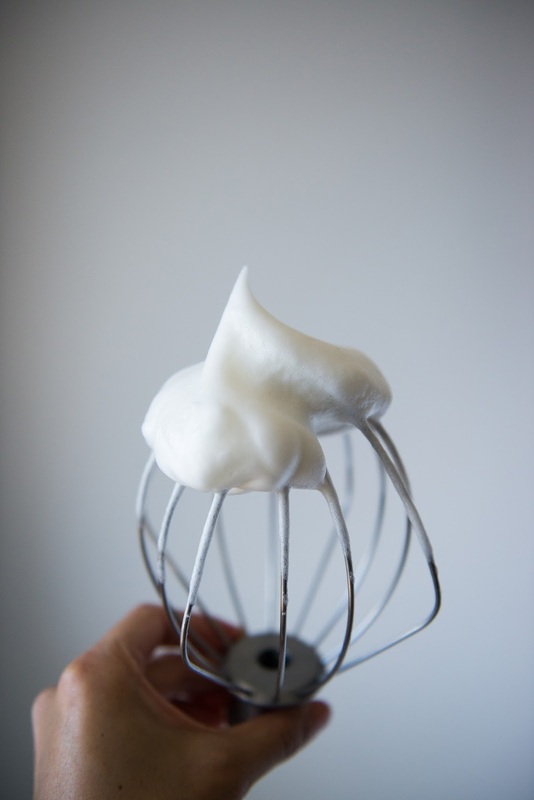 Let the mixture cool completely before folding in the whipped egg whites. And if you're sick of strawberries by now, how about try replacing them with Raspberries, Mangoes, or any other favourite fruit of the season. 5. Try not to open the oven before time is up! 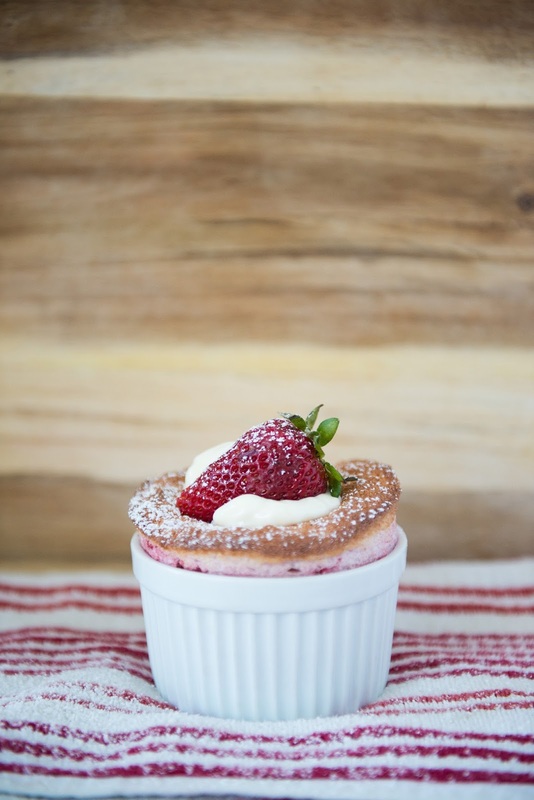 - I found that tip particularly hard to follow, seeing as I'm not sure how to change the light bulb in our oven and so I flew blind a little, but still managed to produce a decent souffle! 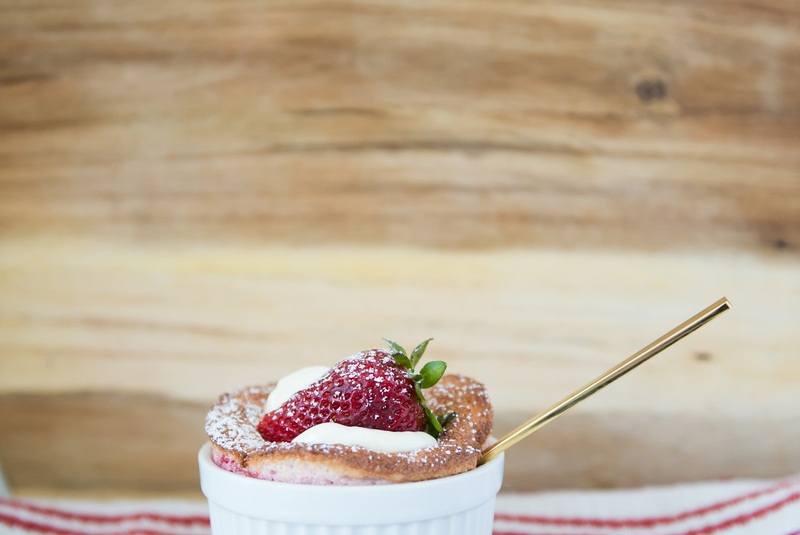 Also, if you're aiming to make this for a dinner party, you can make the souffle ahead of time, and leave the little ramekins/pots in the fridge for 2-3 days. Just let the little ramekins come to room temp before baking in the oven for 10 minutes :) The last time I made a souffle (let's say, 2 years ago), it was a Christmas cake flavour based off a Gordon Ramsay recipe. It was my first attempt and it puffed up beautifully in the oven. While I'm not a major fan of christmas cake, I do enjoy the spicy, cinnamon-y and cozy Christmas-y feelings it ensues. Watch out for that recipe, to come soon!